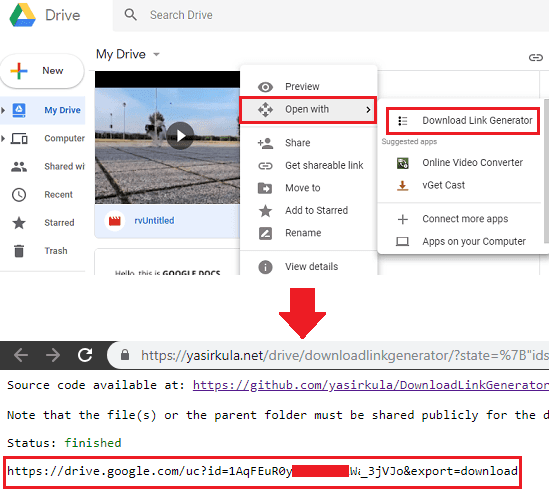 This tutorial aims to explain how to generate direct download link in Google Drive from right-click menu. 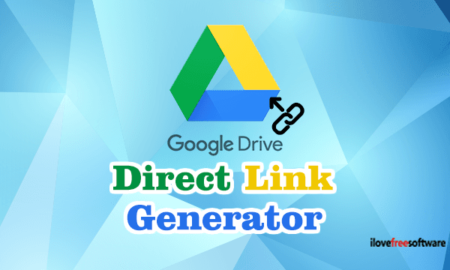 Here I will talk about a Google Drive extension, Download Link Generator for Drive. This tool gets integrated in right-click menu of Google Drive and then you can use it on files having public access file. You can generate the download link to any file and then simply use that anywhere you like. However, to generate the download link of Documents, you will have to publish them to web first. In general, when you share some content from your Google Drive publicly, the link that it gives you is not direct. If you use that link to download a file via download manager software, wget or cURL then it won’t work. That is because those tools use the direct link to download a file. To make it happen with the Google Drive links, you can use the Google Drive extension mentioned here. The best part about this tool is that it is not browser extension and that is why it will always be available even if you use your Google Drive from other location than your PC. 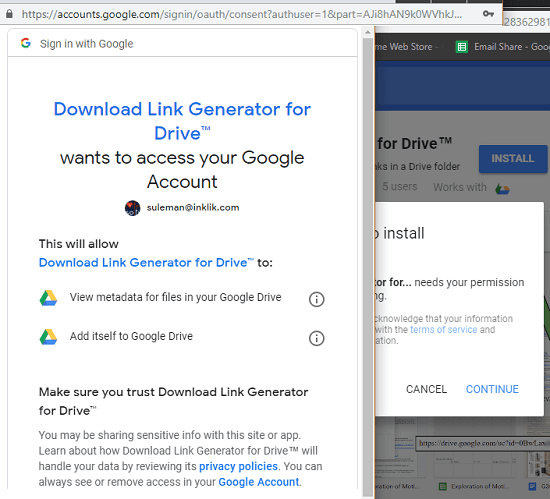 How to Generate Direct Download Link In Google Drive from Right Click Menu? Using this tool to generate direct download links to any file is very simple. The first steps is to install this extension. You just install it from here. After that, allow all the permissions that it asks and then you are done. After installation part finishes, you can start using it. Open Google Drive and then right-click on any file that it publicly shared with anyone. Use “Open with” option and then select “Download Link Generator”. It will take a few seconds to process the file and will take you a web page where it will show you the link. Then direct download link has generated and you can use that in any download manager or command line file downloading tool. This way, you can painlessly get direct download link to any file in your Google Drive. You just have to publish a file publicly first and simply get the download link. This is useful in downloading big files from Google Drive via any external download manager or similar tool. Download Link Generator for Drive is a handy add-on that you can install to get direct download link to any file. Jut select any public file and get the corresponding link from the right-click menu. After getting link, you can do anything you want. You can use that direct download link in various software and tools to download a file without any interruption.